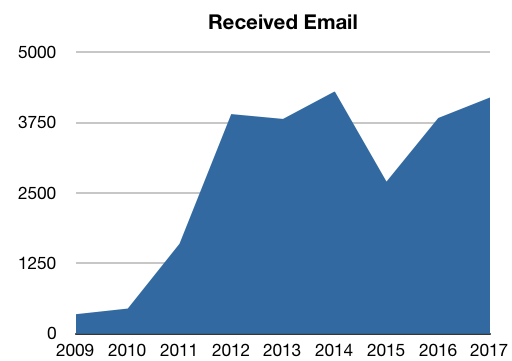 Continuing the tradition of posting a yearly (ok I skipped 2016) count of email stats, here are the numbers from this year. 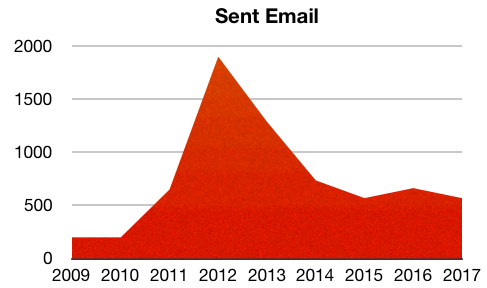 These numbers reflect only the emails from my personal email account after being filtered for spam. Interestingly the sent number this year is identical to the number sent in 2015. I also have a near zero inbox this year!